Christ Church Cathedral has returned to normal. Everything has been tidied up, and apart from the new red cushions on the seats in the nave it is hard to imagine that the General Synod met here for three days last week, from Thursday to Saturday. The setting for the Cathedral Eucharist this morning was the Missa Bell’ amfitrit’ altera by Orlando de Lassus (1532-1594), and the preacher was Dr Anne Lodge, Principal of the Church of Ireland College of Education. Afterwards, I went to the farewell party in the Academy Hotel for Canon Katharine Poulton, who is moving from Saint George’s and Saint Thomas’s, where she has been Bishop’s Curate since 2000, to Saint Canice’s Cathedral, Kilkenny, where she is being installed as Dean later next week. 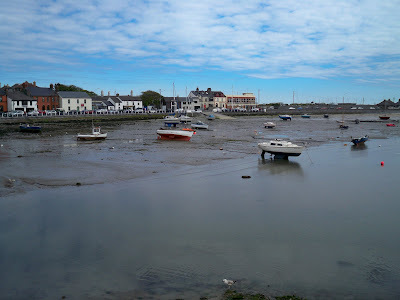 From there, I headed out to Skerries for a late lunch and coffee in The Olive in Strand Street, and a walk on the beach. 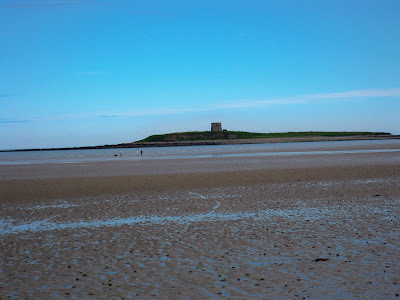 It was slightly chilly, but the beach was flat this afternoon and the tide was out so far it was tempting to think it might be possible to walk out to Shenick Island. For the past few days, my sarcoidosis has been irritating me, with cramps in my legs, the return of an annoying cough, and pains and swelling in my neck. 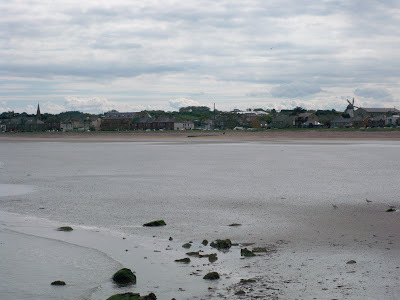 But the walk along the beach, up around Red Island and back down around the harbour and the sailing club lifted my spirits. 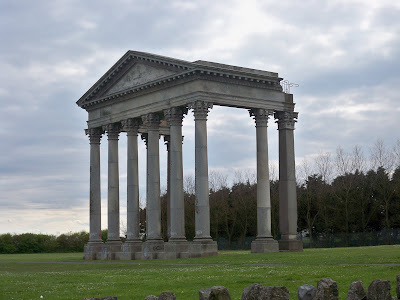 On these visits to Skerries and Rush, I have often missed the opportunity to see the lonely portico of Kenure Park, standing forlorn on a green patch of land in Saint Catherine’s housing estate, and so, after picking up the Sunday papers in Gerry’s in Skerries, I decided to go back to Rush this afternoon. For centuries, Rush House or Kenure Park and its woodland must have dominated the skyline and the social life of Rush. 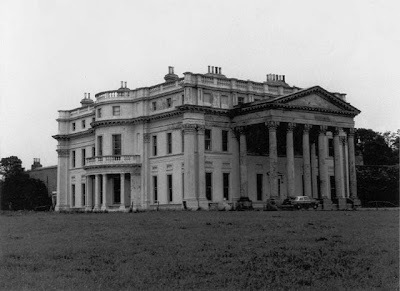 But in 1964, the contents of Kenure House were auctioned, and the estate, which was also known as Kenure Park, was sold to the Irish Land Commission. Colonel Roderick Henry Fenwick-Palmer, the last of his family to live in the house, had given up his battle against rising costs, rising damp and dry rot. Within a short time, the house was handed over to Dublin County Council. But, unable to find a buyer for the house which was in an increasingly dilapidated and vandalised condition, the council finally demolished it in 1978. 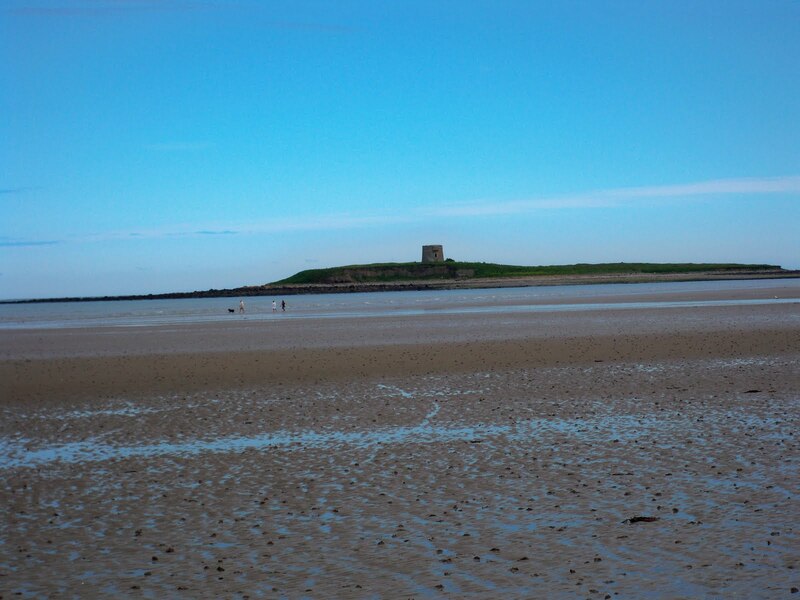 Did no-one have the foresight to save and develop it in the way lesser houses in the area, such as Ardgillan Castle near Balbriggan or Newbridge House near Donabate were acquired as public amenities? In 1315, the lands in this area were granted to Edmund Butler, Earl of Carrick, and for generations the Ormond Butlers of Kilkenny continued to hold the ancient manor of Rush, including the lands of Balcony, Heathstown, Balscadden, Kenure, Ardlaw, and other parts of North County Dublin. 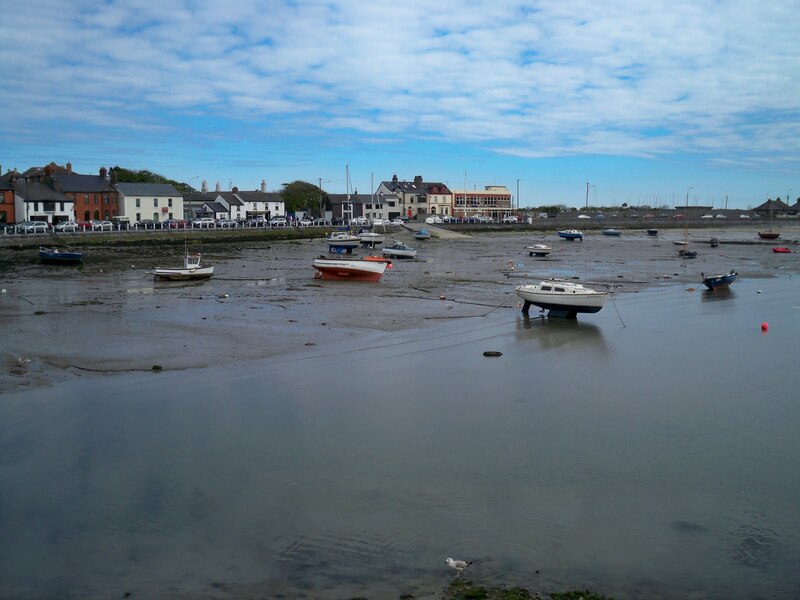 In the early 16th century, the fishermen of Rush called on the owners of Kenure to secure a safe harbour for their boats, threatening that they would have to seek employment elsewhere and “no longer dwell in this habitation” if the Ormonds did not repair or replace the “decayed pier.” The sheltered harbour and pier they demanded were eventually built – during the reign of James II (1685-1688). One local history says that James Butler, the Jacobite 2nd Duke of Ormond, inherited Kenure in 1703, and built a new house that stood until it was destroyed by fire in 1827. 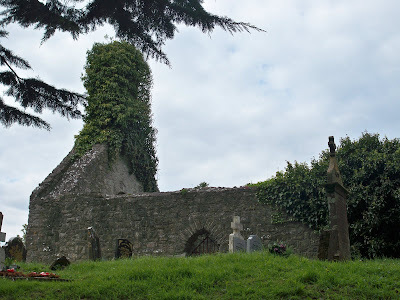 However, it seems that at the time of the Williamite confiscations after the Battle of the Boyne, Kenure passed to Sir Henry Echlin son of the Very Revd Robert Echlin, Dean of Tuam and Rector of Omagh. 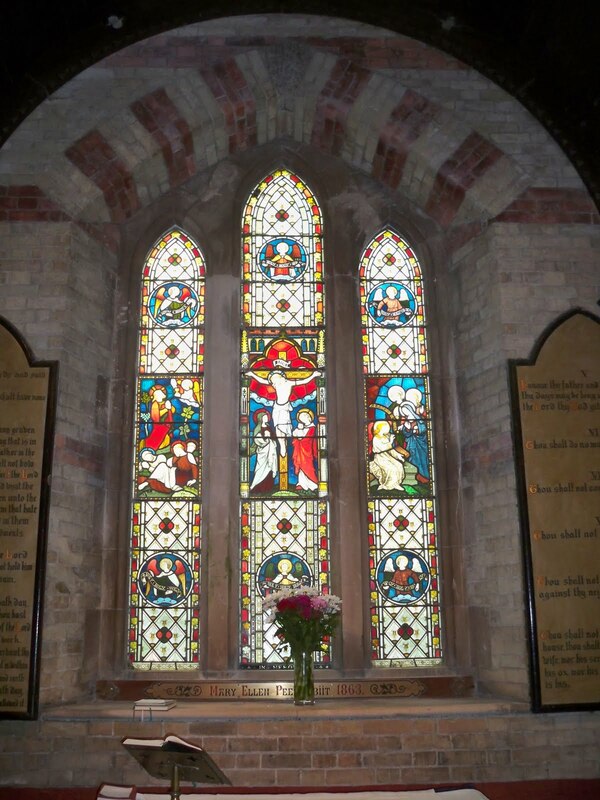 Sir Henry’s grandson, Sir Robert Echlin, is buried in an impressive tomb near the Round Tower in neighbouring Lusk. Kenure eventually passed by marriage to the Palmer family of Castle Lacken, Co Mayo. They changed the name of the house from Rush House to Kenure Park. General Sir Roger Palmer was living at Kenure Park in 1827 when the house built in 1703 was damaged by fire, and commissioned the architect George Papworth to rebuild and enlarge the house. The Palmer family was generous to both the Roman Catholic and Church of Ireland parishes in Rush. Elizabeth Palmer, who lived in Kenure in the early 1820s, gave the Roman Catholic parish of Rush land on which to build a parochial house – this is now the site of the new parish church, which I visited last week. In 1866, the Palmers also endowed Kenure Church, a new Church of Ireland parish church for Rush. 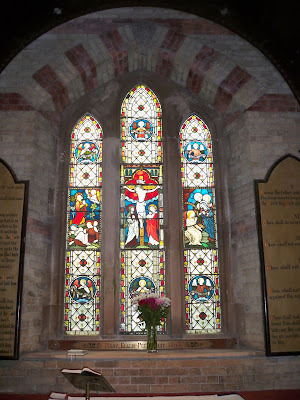 The stained glass window over the Communion Table is in memory of Mary Ellen Peel, a daughter of Sir Roger Palmer of Kenure Park. She married Archibald Peel (1828-1901), a nephew of the Prime Minister, Sir Robert Peel, but died tragically ten days after giving birth to their third child in 1863. Her brother, Sir Roger Palmer, MP for Mayo (1857-1865) was the last Palmer baronet, and was one of the last surviving officers of the Charge of the Light Brigade in the Crimean War. When he died, Kenure Park passed to Colonel Roderick Henry Fenwick-Palmer. 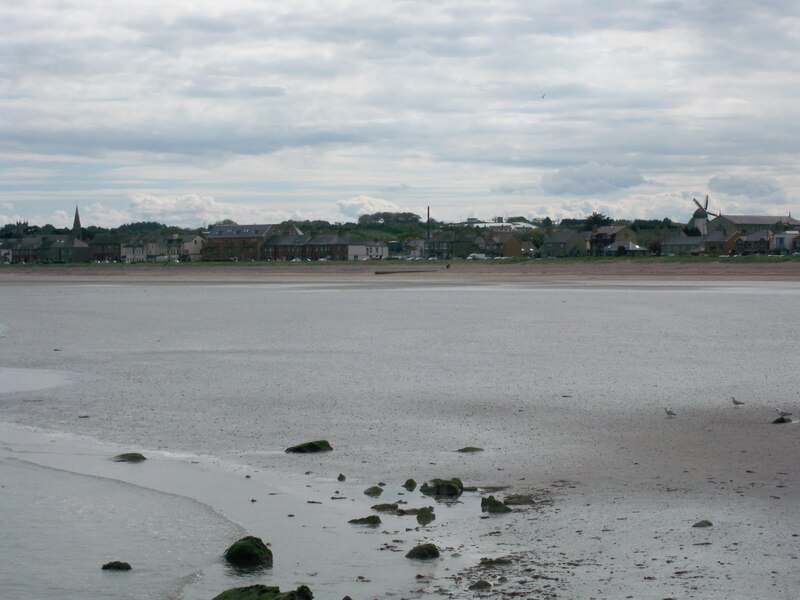 He eventually sold Kenure Park to the Irish Land Commission in 1964 for £70,000. Most of the land was divided up among local farmers, and the rest was sold to Dublin County Council for housing and playing fields. When the contents of the house – including artefacts from Pompeii and an amazing amassed collection of vases – were auctioned that September, the sale lasted four days and realised £250,000. The county council was left with an empty mansion for which it could find no buyer. Although the house continued to deteriorate, for a time it was rented to a film company and a few movies were made there, including Ten Little Indians, Rocket to the Moon, and The Fall of Fu Manchu. Why did no-one think of putting a caretaker in the house or finding careful tenants? In a series of mindless incidents, the house suffered from naked vandalism and a series of attempts to set it on a fire. Then, in a greater act of cultural vandalism, the council decided to demolish the house in 1978. 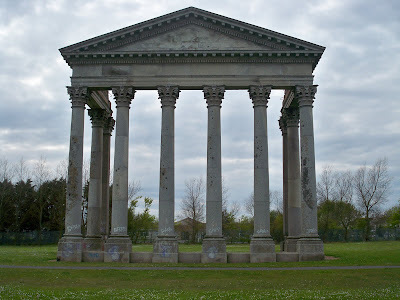 Within a few days, all that was left of this once great house was a mountain of rubble, from which the massive portico arose. Saint Catherine’s housing estate was built on the grounds of the house. But the sight of the enormous portico standing alone against the sky this afternoon is dramatic. It stands forlorn and lonely, like the lonely ruins of a decaying Greek temple in a classical site like Priene, Miletus or Didyma in Western Anatolia. The base of the columns is covered in graffiti and they dwarf the children who run through the portico and play beneath it. It is a sad and stark remainder of what once was and what might have been. The name Kenure is the anglicised version of Ceann Iubhair, the “headland of the yew trees,” although in some old tests it is also called Kilnure, meaning the “church of the yew trees.” On the way into Saint Catherine’s Park to see the portico of Kenure House, I stopped to look at the surviving ruins of the early Christian stone church, which tradition says was dedicated to Saint Damnan, but which was known for most of its history as Saint Catherine’s. Nearby are traces of a ruined castle that may even predate the later Norman dwellings. Within the walls of the ruins of Saint Catherine’s Church is the tomb of “the affable, obliging, exemplary, wise, devout, most charitable, most virtuous and religious, the Rt. Hon George Lord Hamilton, Baron of Strabane,” who was Ormond’s tenant at Kenure when he died there in 1668. Sir William Palmer, who built Kenure Park in the 1820s, was also buried inside the ruined church in Kenure when he died in 1840. His tomb leans to one side and is surrounded by a rusting iron railing. Outside, a sign also tells that this is also the burial place of Jack Connor, a celebrated smuggler from Loughshinny nicknamed “Jack the Bachelor,” who died in 1772 after an adventurous career. I failed to find Saint Catherine’s holy well nearby, which is said to be somewhere between the ruined church and the lonely portico. 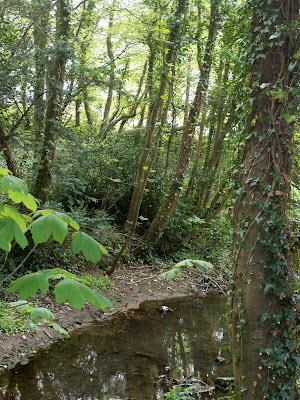 But as I walked through the trees and glades, the bluebells were blooming and a small brook was babbling. It was enough to boost my spirits despite the persistence of the symptoms of sarcoidosis. I know I have sarcoidosis … but it will never have me. Yes, what a totally shambolic decision to demolish this wonderful house. My great grand father was employed by Lord Palmer as a herder on the estate until his death in a riding accident in 1889. Lady Gertrude Millicent Palmer gave my gg mother £100 in cash, which in effect, saved her and her 7 children from destitution and the poorhouse. I used to holiday in Rush as a child and remember this house well. Real shame that it's gone forever. A real shame. This was my Grandfathers uncles house, my grandfather father often went and stayed, it was used as a summer house. I did summer work there in the gardens as a teenager in the early 60s.. the woodland surrounding the house and gardens was impressive and is also mostly gone, as, I think are the Head Keeper's cottage which were located in the woods..I do remember the well also.. I too played in and around this house as a child while our family were on holidays in Rush. You could hear the voices of past occupants in the upstairs rooms. Sadly, even back then somebody had vandalised parts of the interior and exterior. I cannot fathom how anybody could have made the decision to demolish this beautiful structure. My grandfather was born at Kenure Park. His father was a gamekeeper there at the end of the nineteenth century. Such a shame the house is no longer there. I have wonderful memories of Holidays in Rush in the 60's with my family, and picnics in Kenure parklands, a favourite photo was taken with my grandfather- me sitting on one of the lions under the portico. I am now a visual artist and have been making paintings based on these memories, lying in the long grass looking up at the trees and the sky, and was looking for references for the house to put in fragments of this into the paintings. So thanks for the posting above it has been really useful. I too have great memories of holidays in Rush in the 70s and still go there whenever I can. I would always walk up to Kenure house and on one occasion the caretaker let me in for a look. I will never forget the feeling in the deserted mansion and the wide staircase. I felt terrible when they demolished it. Yes, I would love if it had not been knocked down but I have thought something else too. I feel it would have been turned into some sort of art centre with automatic doors, car park and litter bins etc. I just feel the old world atmosphere which was still there even as a ruin would have vanished with modern day refinement. Maybe they could make a model of the house and connect it to the portico. The stables were fantastic too. My Great Great Grandfather James Twamley, worked as a herder there as well and also worked as a gatekeeper. He was married to Ellen Bolton and they had 3 daughters one of whom was my great Grandmother Charlotte Twamley Larkin, we found a grave for their other Daughter Ellen in the old Church of Ireland cemetary opposite the cricket grounds on the Rush road, alas never found the parents grave. A copy of the 'Penitent Magdalene' by Canova, which was in this house, is now on display in the Greville Arms Hotel, Mullingar.